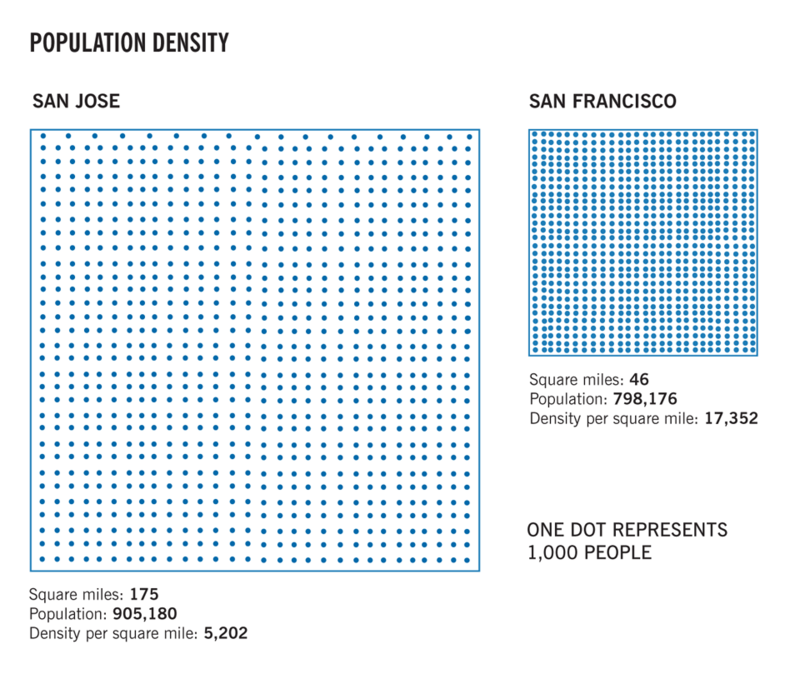 Each spring, SPUR takes an annual city trip to learn about urbanist strategies that are working — or not working — in other cities around the world. 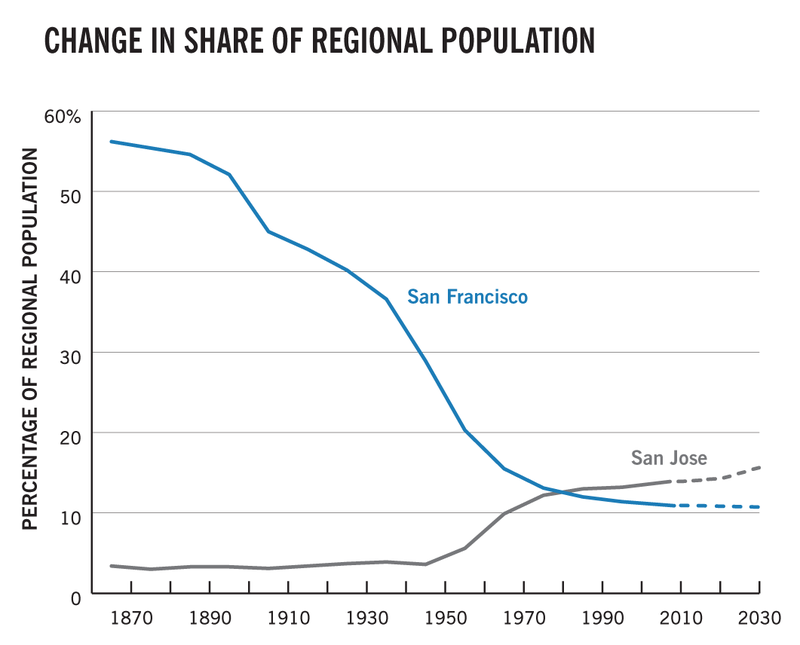 This year we turned our lense to our own region and hopped on a Caltrain baby bullet to San Jose. 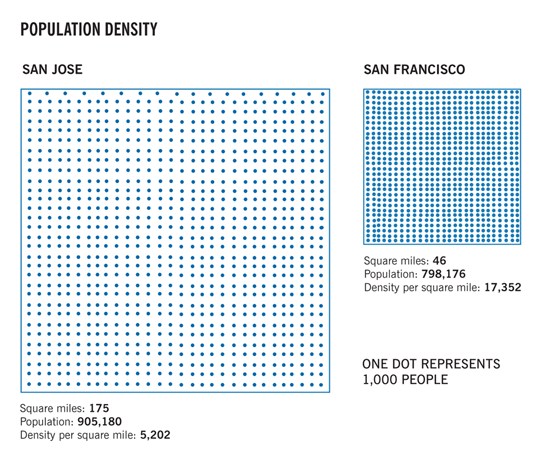 With a population of about one million, San Jose is now the largest city in Northern California. 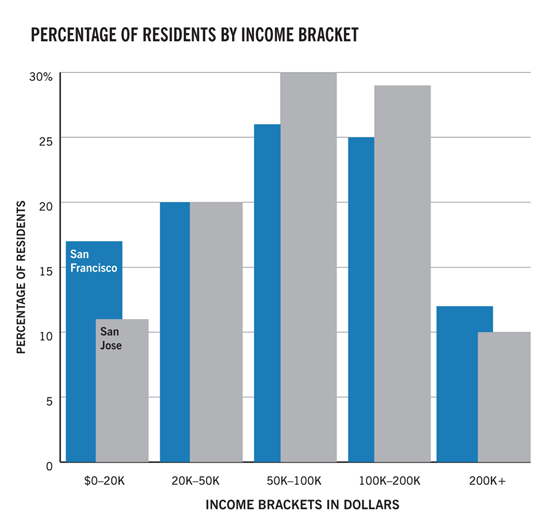 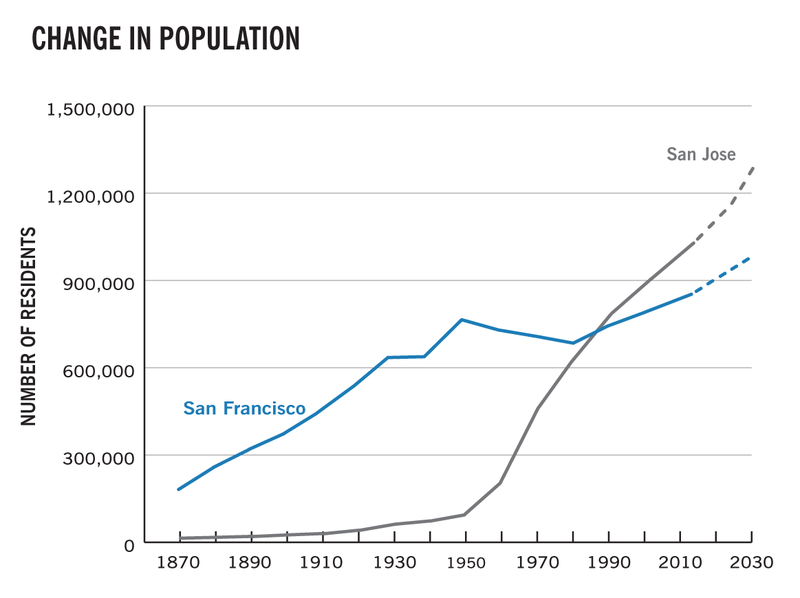 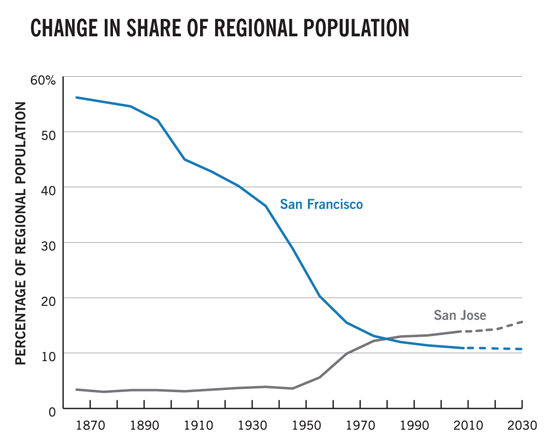 In a generation it could have twice the population of San Francisco. 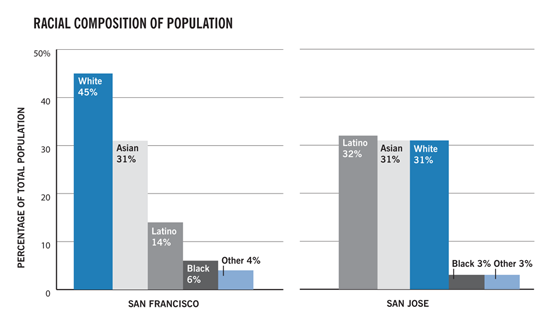 Here's a look at the differences and similiarities today between the populations of San Jose and San Franicsco. Sources: All data from 2006-2008 American Community Survey, Census Quick Facts, except the following: Population: San Jose Planning Data, ABAG Building Momentum; Share of Region: Bay Area Census, Bay Area Census: San Francisco County, San Jose PLanning Data, ABAG Building Momentum; Work Location: 2010 San Jose Economic Develpment Strategy.